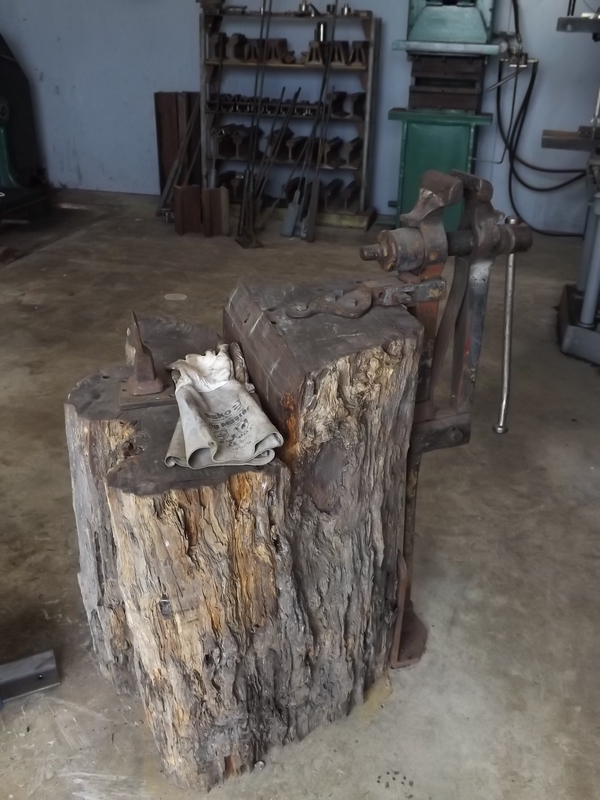 Here is the Blacksmiths vice I have in my forge area. It is quite handy for holding work to twist it or grind it. The block it is on is a large piece of maire and very heavy. It keeps the vice stable. The Blacksmiths vice is made differently to a standard engineering vice as they are made to with stand blows to the work that is being held in them, hence the reason they have a leg on them and are supported from the floor.